Welcome to the next installment of the Legend of the Five Rings create-a-card series! 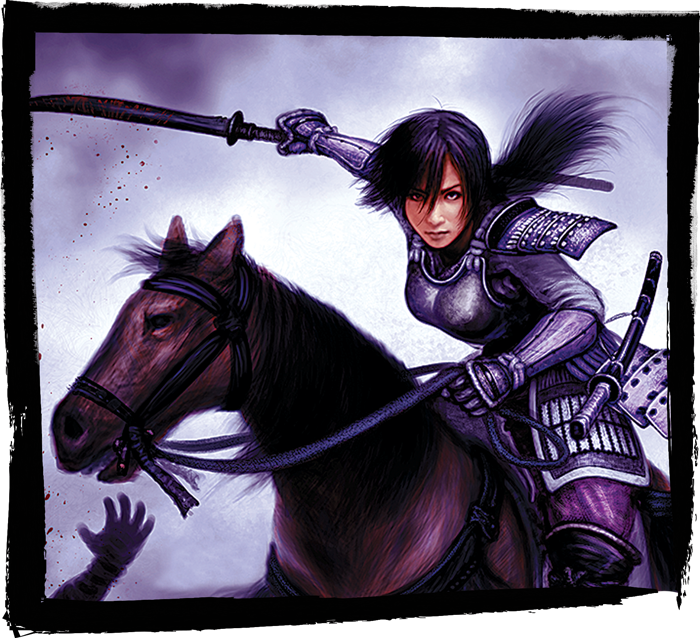 Over the course of this series, you, the community, create your very own samurai to be featured in a future Legend of the Five Rings: The Card Game expansion! Last week, we discovered the underlying concept behind our character, determined by you to be the Worldy Shiotome with 30.4 percent of the vote! Today, we’re going to continue to flesh out the mechanical aspect of the Worldly Shiotome by determining the specific ability featured on the card. Read on to discover the possible options, and don’t forget to vote at the bottom of this article within the next 24 hours to have your voice heard! Previously, we determined that our samurai's ability would fall under a general theme of out-of-clan allies. The ability was further narrowed down when we determined our samurai would be the Worldly Shiotome, a Battle Maiden with a particular affinity and interest in Gaijin customs and items. Designer Tyler Parrott took these mechanical and flavor identities and fused them to come up with the following five abilities. Although we're voting on a specific ability today, please keep in mind that the card will still go through the playtesting process. The chosen ability may morph before release, and will be augmented with higher skills if found to be weaker. Conversely, if the ability is found to be strong, the character’s skill values will be lowered. In Search of Honor: Reaction: After you play a Gaijin card – honor this character. In Search of Leadership: During conflicts in which this character is participating, each participating non- character you control gets +1 and +1 . In Search of Inspiration: Reaction: After this character wins a conflict, choose a non- or Gaijin character – ready that character. 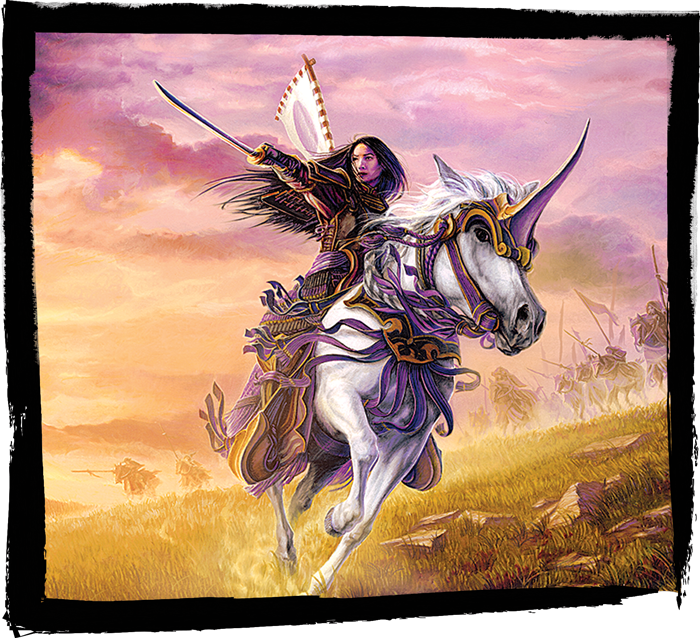 In Search of Gifts: Action: During a conflict in which this character is participating, discard a card from your hand – search the top 5 cards of your conflict deck for a non- or Gaijin card, reveal it, and add it to your hand. Shuffle. In Search of Assistance: Action: Choose a non- or Gaijin attachment on another character you control – move that attachment to this character. Consider your options carefully and be sure to vote within the next 24 hours for which of the above abilities the Worldly Shiotome will call their own. The create-a-card series is soon coming to an end. Check this article 24 hours from now to see the results, and join us next week as we wrap up the create-a-card series with one final article. A special thanks to all who have voted along the way!